Mosquito surveillance is an essential component in our Integrated Vector Management Program. Through surveillance we are able to monitor mosquito and virus activity in our district. 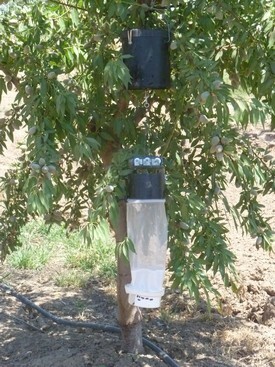 The surveillance is divided into 3 components: larva, adult mosquitoes and virus activity. Operators spend a large portion of their time checking sources for the presence of larva. When larva is detected in a habitat, operators assess the species, stage(s) of development, population size and distribution to determine the best control measures. Monitoring Adult mosquitoes is done through our frequently placed Encephalitis Vector Survey (EVS) traps. The collections from these traps provide data on which mosquito species are in the area along with their abundance and distribution. The data is analyzed to determine necessary control measures or evaluate mosquito control activities. Adult mosquitoes trapped in the field are brought back to the lab to be sorted by species. The mosquitoes are then pooled into samples for testing by species and trap site. Each sample of mosquitoes is tested for West Nile Virus, St. Louis Encephalitis and Western Equine Encephalomyelitis. Dead birds are another portion of our virus surveillance program. Dead birds are often the first sign of West Nile Virus activity increasing in an area and their results may trigger the need for additional monitoring of adult mosquitoes. We receive dead bird reports from the California Dead Bird Hotline when residents in our District contact them. When a report is received, the district office dispatches an operator to collect the bird. The bird is shipped to a lab for West Nile Virus testing and the results are sent to the district within14 days after collection.